Our Sparking Memories project has come to an end! 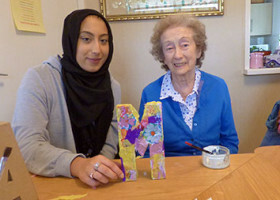 We brought together A-Level students from Leeds City College and residents from Simon Marks Court. Over eight weeks the group explored the M&S Company Archive, and created a collaborative artwork to go on display at the care home. 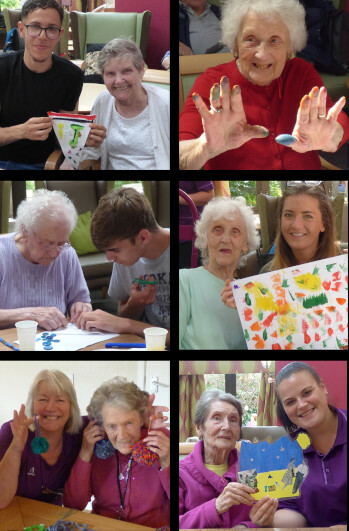 Intergenerational practice aims to bring people together in purposeful, mutually beneficial activities which promote greater understanding and respect between generations. The M&S Company Archive’s collection is full of objects and images that can be used in reminiscence therapy; working with groups of different ages can uncover new ways of looking at and using the collection.